Annuals, perennials, and bulbs can be beautiful additions to a tree bed, as long as you remember that the tree’s health comes first. Never raise the soil level when you install new plants—this can rot the bark at the base of the tree. Use small plants and bulbs—large plants require deeper holes that can damage tree roots and often have large root systems that compete with the tree for water and nutrients. Choose plants with low water requirements. Plant tags and catalog descriptions that say “drought tolerant” and “good for xeriscaping” tell you that a plant doesn’t need much water. Select plants that can take abuse. A tree bed is a harsh environment: Choose tough plants that can survive and thrive. Install a tree guard to protect the bed. These choices are best beneath newly planted trees. These choices are best beneath established trees. Most spring bulbs like at least half a day of sun. Since they bloom before deciduous trees fully leaf out, these bulbs will thrive in the beds of even established trees. 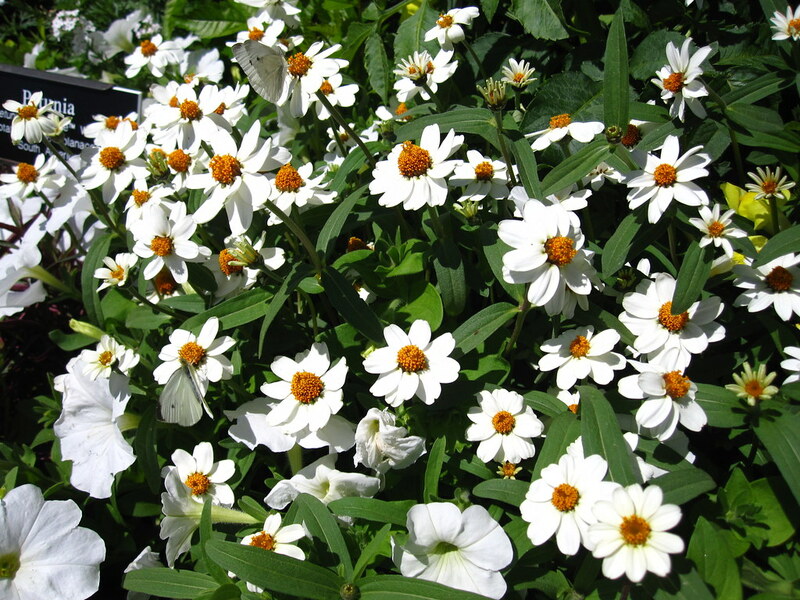 Zinnia angustifolia 'Crystal White' flourishes in the Centennial Annual Border display. Photo by Rebecca Bullene. 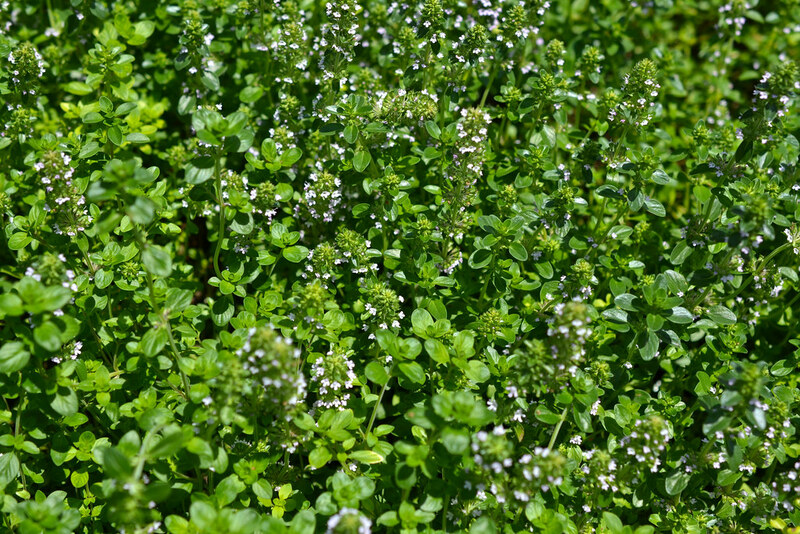 Thymus serpyllum (creeping thyme) in the Herb Garden. Photo by Morrigan McCarthy. 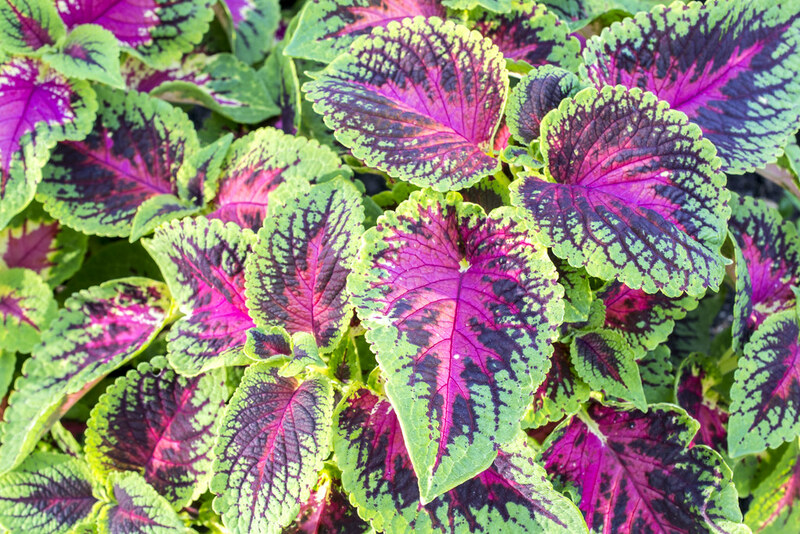 Plectranthus scutellarioides 'Versa Watermelon' (coleus) in the Annual Border. Photo by Alvina Lai. 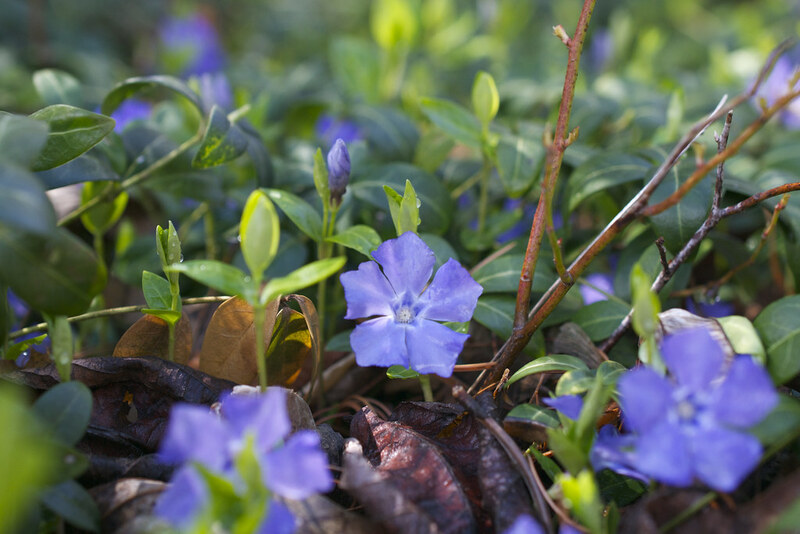 Vinca minor (common periwinkle) in the Native Flora Garden. Photo by Blanca Begert. 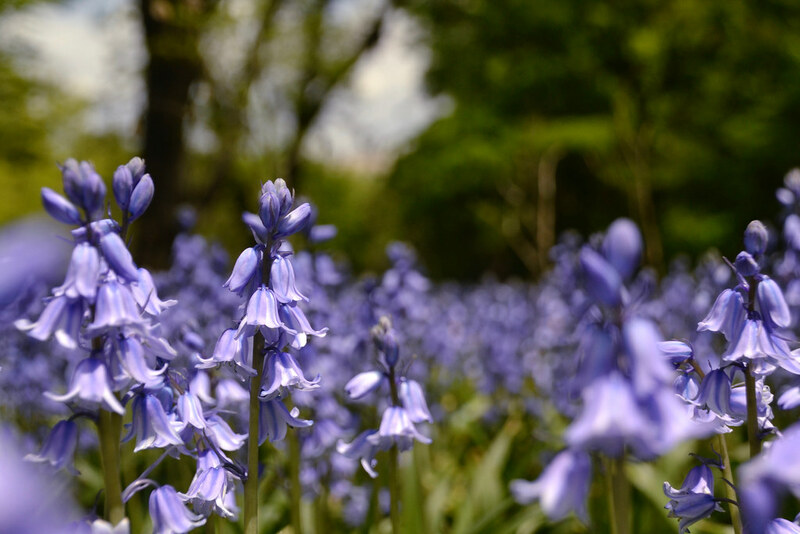 Hyacinthoides hispanica 'Excelsior' (spanish bluebell) at peak bloom in Bluebell Wood. Photo by Blanca Begert.